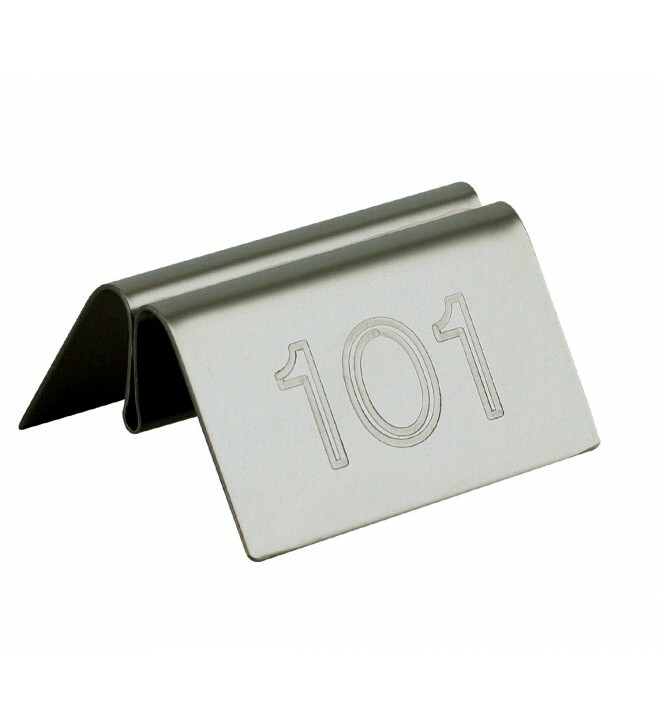 We present our classically-styled tabletop card holders in stainless steel. 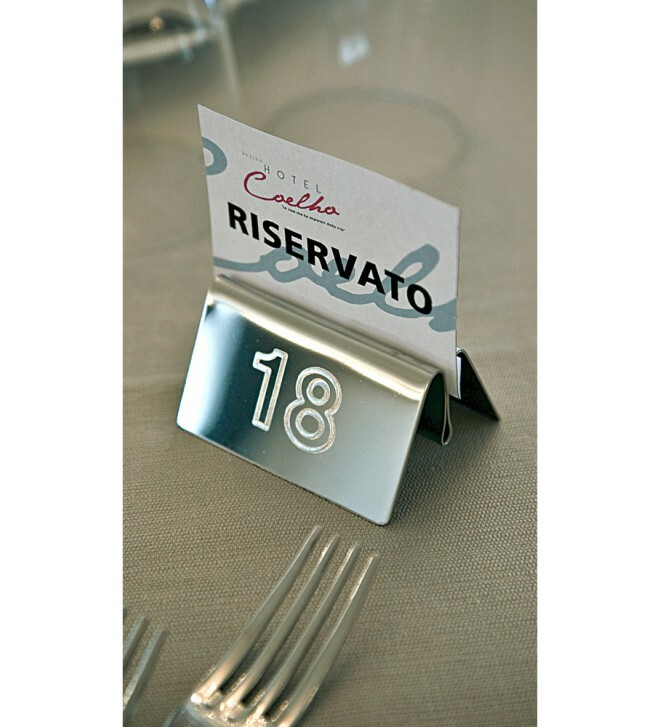 The numbers applied to both sides of the tabletop card holder can be engraved in a choice of colours. Information can be inserted into the convenient slot in the centre of these tabletop card holders.